Battery pack suitable for use with RTI T1, T2 and T3 universal remote controls. 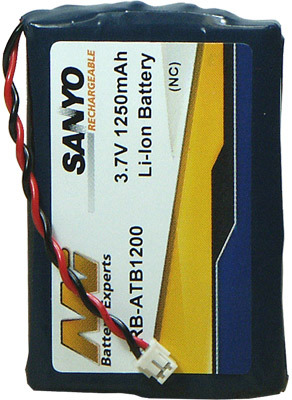 Compatible with original RTI battery models ATB-850, ATB-1200. This high capacity battery offers over 40% longer run time than ATB-850 and over 10% longer run time than ATB-1200.